A significant number of eye disorders result from deficiencies in the endothelial layer of the cornea. Endothelial keratoplasty (EK) helps spare patients from months of refractive adjustments, lengthy recovery, complications, and poor outcomes associated with full-thickness penetrating keratoplasty. This newer methodology is based on more selective transplantation of cells and is less invasive, resulting in quicker recovery and more efficacious outcomes. Contributors are world-renowned pioneers who are front and center in implementing innovative, sight-restoring techniques that continue to change the ophthalmic surgery landscape. 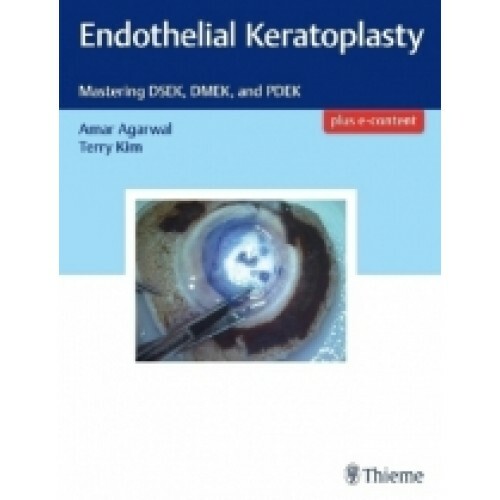 In the first section, a solid foundation is laid with discussion of anatomy, the history of EK, clinical aspects of endothelial cell dysfunction, and clinico-pathology. Subsequent sections cover surgical procedures, special topics, surgical outcomes, complications, and future trends. Readers will gain invaluable insights from clinical pearls throughout the book, gleaned from hands-on experience by leading experts in the field of ocular surgery. 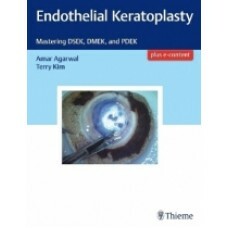 This book is a stellar resource on the surgical management of patients with corneal disease. It will benefit both trainees and practicing ophthalmologists - and is a must-have for specialists who perform corneal surgery.